The following are the libraries were referenced. Arduino library for communicating with XBees in API mode – I used both Java and C++ versions for this. Standard Template library (STL) for AVR – I wanted some maps and other stuff in the dev environment. Ardunio Modbus Slave – I used this for my energy monitoring project as well and hacked in a modbus function 6. Since then, a new library that includes function 6 has been deployed, but I still used the older version as I wrapped the C++ class – SerialModbusSlave and did not feel like manually merging code. I can change ports around in one spot in the code rather than find an replace things. The following illustrates the concept in a non-formal way of describing software. 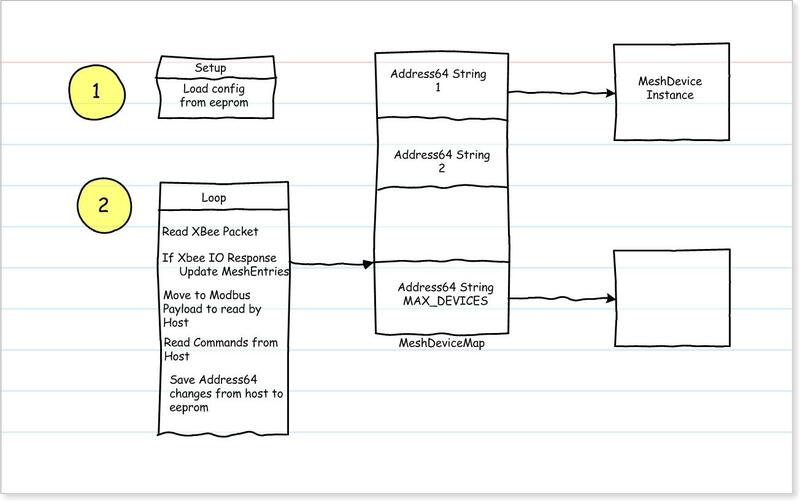 When a ioresponse is received from an end device I look up the corresponding meshdevice entry in map using the string representation of the address64. I was thinking of using int64_t type rather than a string as the string takes more space but that is not at a premium at this point. 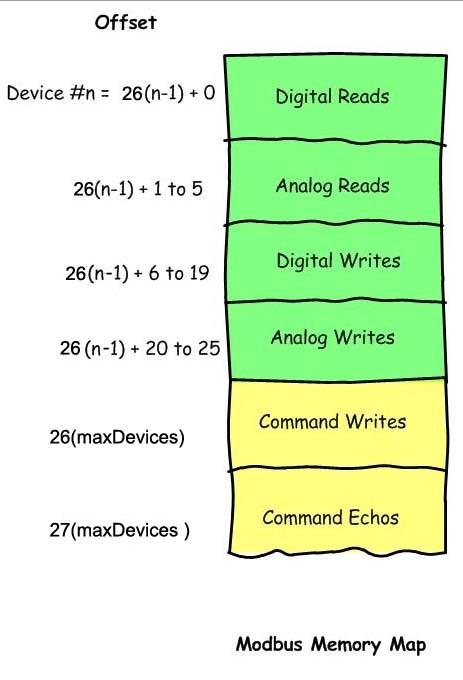 The address64 string for managed end devices are stored in eeprom and loaded on setup(). Provisioning of end devices are sent over modbus from the HMI host and written to eeprom as well. Yes overkill, but t I want to evolve the system and focus on some abstraction to allow the evolution the meshdevice representation. All the smarts to evolve will be confined in one class. The tacit information like how to provision and communicate with the HMI, etc. will hopefilly remain static. 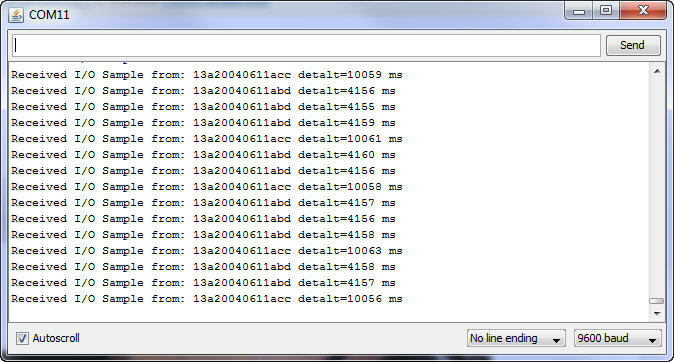 And updating meshdevices is coded as follows and will change later on as the error handling is uber weak. gDebugPort &lt;&lt; "Received I/O Sample from: " &lt;&lt; lAddress64 &lt;&lt;" detalt="
The prototype basically implemented the following data flow model. The issue for me is battery powered end device is not green enough of a solution for me. I’m thinking of exploring energy harvesting to help things along. The plan was to also send battery voltage level on the end device to the SCADA host to generate low battery alarms. Still, it would be nicer to tap into ambient environment (vibration, etc) to generate energy to help power the end device. This will be explored later. 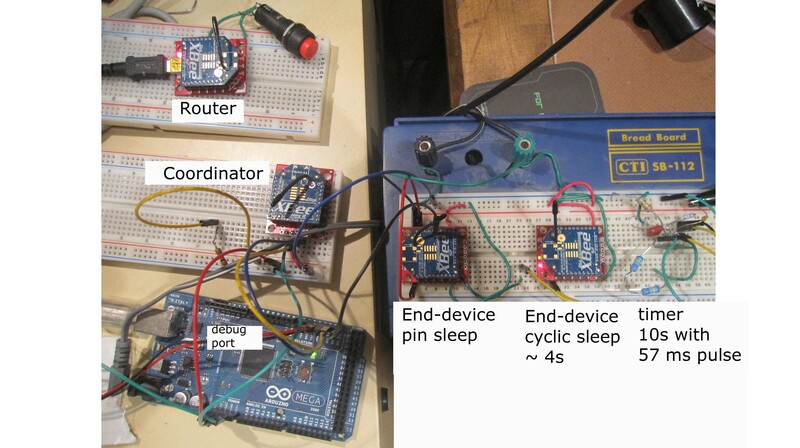 This entry was posted in Mesh, zigbee and tagged arduino, XBee by Peter Chrapchynski. Bookmark the permalink.